Have you ever had trouble managing your credit card debt? If you really want to be responsible when it comes to your credit cards, you have to understand several things about it. Not only will you be able to maximize the benefits of this purchasing tool, you can avoid the unnecessary penalty charges that can grow your balance exponentially. One of the least talked about credit card feature is your due date. The credit card due date refers to the monthly calendar date that your payment must be received by the creditor. Failure to meet the deadline will cost you late penalty fees and will increase your finance charges for the next billing cycle. Non banking day for the due date on your credit card? The primary reason for you to take note of your credit card due date is to prevent late payment charges. Credit cards are already notorious for their high interest rates. If you are not careful, you could end up with a balance that is more than what you can handle. The key is not just to know the due date but also the date when it will fall. There is a problem when your deadline falls on a non banking day. The law states that all due dates must fall on the same date every month. Given how our calendars are set up, that could mean you will encounter one or two due dates that will fall on a holiday or weekend. That means your payment may not be processed in time and could be perceived by the system as a late payment. Although this does not happen all the time, you need to know how you should react to these occurrences. Here are important issues that you need to understand about your credit card due date when it falls on a non banking date. In the past, creditors are more lenient about due dates that fall on a holiday or weekend – both of which are non banking days. They allow consumers to submit their payment on the next business date before 5 pm. Now, the 24/7 banking business is already in place and there is really no reason to miss your due date. Unless the online banking system is down, then that is one time that you can probably appeal to the creditor. Alway aim to make a payment before the due date. If you send your payments by mail, send it a few days earlier than when you usually do. You have to consider the transit time and the processing of your payments. Setup an online banking option that will allow you to pay your dues via the Internet. This will allow you to send in payment even at night, on weekends and holidays. It will eliminate the possibility of you being unable to pay your dues on time – even if it is a non banking day. Payments via phone is also acceptable. All you need is your checking account and routing number. Most banks and credit card companies have 24/7 customer support who can receive your calls anytime of the day. Just be careful when paying through this mode because there is still a processing time. If you know that you have the tendency to forget, schedule your payments a few days before your due date. Or better yet, pay your dues as soon as you get the billing. That will keep you from missing out on your due date. Having a lot of credit card accounts can also make you confused – enough to miss out on your payment. There are tools that you can use and they are usually downloadable online. There is one from Mint.com that can be connected to your mobile phone to send you alerts when your due date is about to pass. Itunes also has a similar reminder app that you can download through your Apple gadgets. Another thing that you can do is to keep your credit card due dates simple by putting them on one date. It could mean you have to shell out a bigger amount on that day but if you plan your finances carefully, you should be able to manage this without difficulty. If the change in due date appeals to you, here are the steps that you have to follow to make this happen. Decide on the date. Ideally, you want to pick a day that is within 2-3 days after your paycheck comes in. If you pick a date before your paycheck, the chances of you having enough money to pay it off may be slim. Also, if you get your paycheck twice a month, pick a date that is near the salary that is not burdened with existing payments. 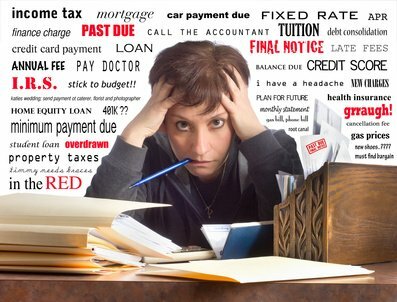 You also have your utility bills, mortgage/rent, insurance and other payment obligations aside from your credit cards. If most of them are due at the beginning of the month, pick the paycheck coming in on the 15th to get your credit card payment fund from. Call the credit card company and request for a change in due date. You want to call the customer service department of your creditor to make this request. Most of the time, creditors agree to make the change. Wait two billing cycles to see the new due date take effect. For some credit card companies, it only take one billing cycle to make the change. Monitor the due date on your billing statement to see when the change will take place. Take note that some finance charges could end up bigger when this change occurs. This is because the creditor had to incorporate a longer cycle before transitioning to the new credit card due date.